We are definitely heading towards winter months in the city. 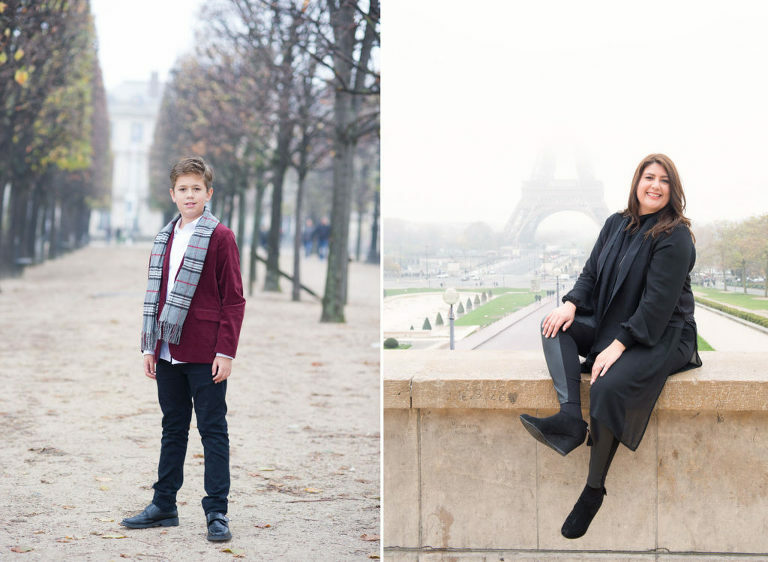 This past week, I took a family from San Diego visiting Paris for a photo tour. 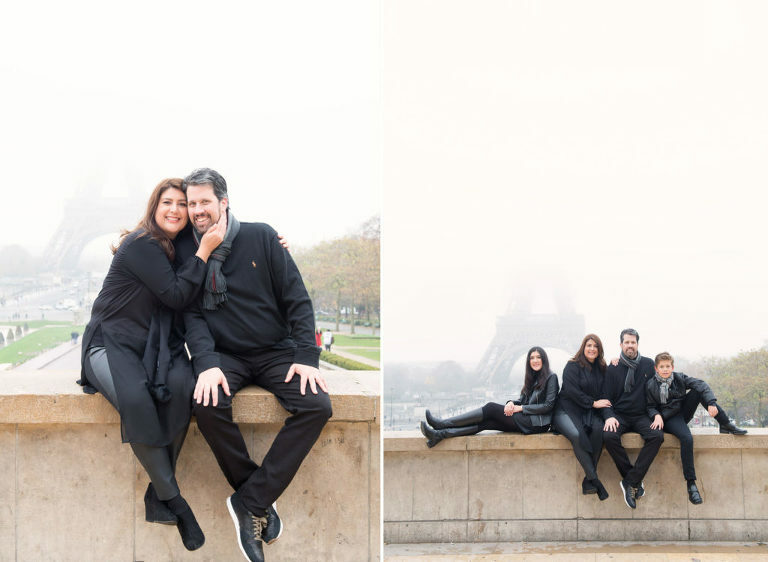 We met at the Eiffel tower at 10am with a beautiful morning mist. It was kind of mild morning actually. We had a great time regardless of the fact that you could hardly see the tower from the Trocadero area! I had a couple of hours to take some cool photographs with everyone! ” Simply take some gorgeous family portraits “, this was my brief for the morning. It was years since they had a commissioned a professional photographer to photograph everyone. 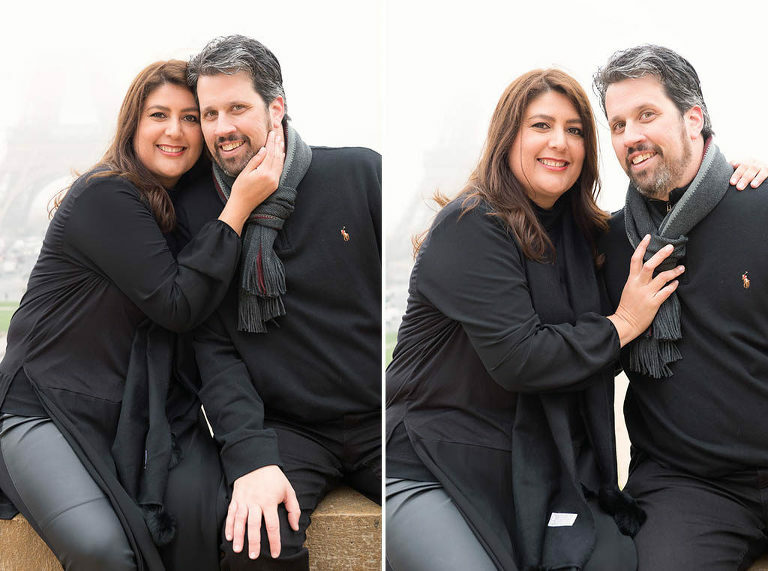 They took advantage of a trip to Europe and a stop over in Paris to indulge in a few portraits with yours truly! We exchanged a few emails prior to the day to fine tune a few details as to meeting point, possible locations for photos as well as changing dresses during the shoot and so on. Alissa’s daughter was turning 15 during the trip and she wanted to do a mini photo shoot with just her as well. So we started at the Trocadero for the first hour of photography. 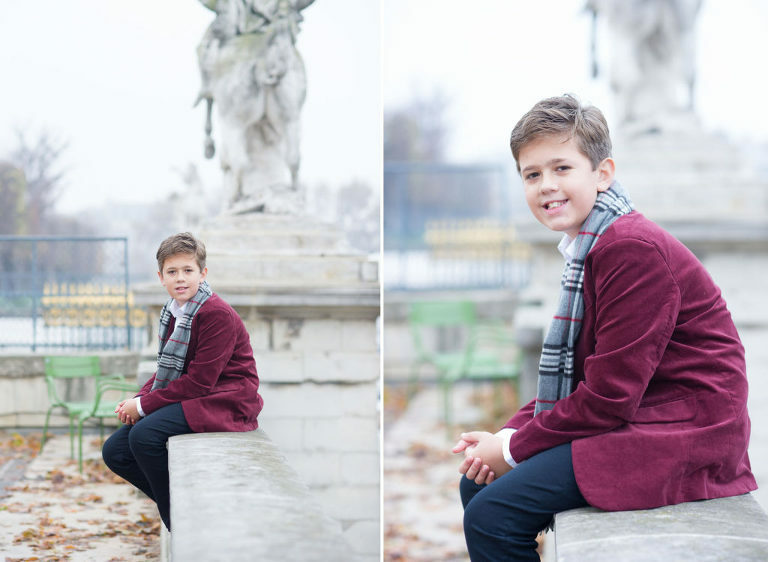 We then took the subway and travelled to the tuilerie gardens and the Louvre for the second half of the shoot. A lot of fun chit-chatting along the way with everyone regardless of the lack of sunshine. Below a little selection of the many photographs taken over three hours of photography ( I selected over 200 retouched photographs at the end ). I am fast and efficient as well as being creative and fun to work with! I do not give my clients a selected number of photographs in a package format. They receive a large selection of the photos taken via wetransfer. The photos are usually sent out a few days after the shoot ( usually 3 to 4 days ). I do hate my clients waiting more then a week to get their photos back. It it part of the experience. The photos are sent out in high definition for printing as well as in a smaller format for the internet and social media. 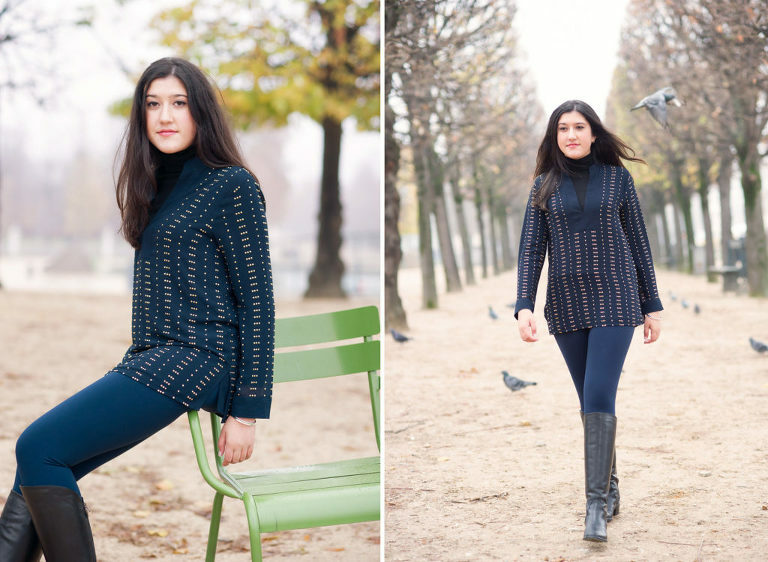 I love meeting new people, it is always fun and Paris is such an amazing backdrop regardless of the weather conditions. I would take a couple of good looking umbrellas for the day if there is a chance of rain. This way we are not stopped by a gentle rain. Paris is gorgeous when it rains by the way! Paris is gorgeous anytime of the year. Heavy rain never last for too long, we can always shelter in a cafe for a little while while things calm down. Here an engagement photo session done recently with a couple from San Francisco. It rained for some of our photo shoot and you’ll see it did not stop us from having a great time. The photos rocks! They always rock if you put time, dedication and some love to your craft! Meanwhile enjoy this family photo session morning in the city. Get in touch if you are looking for a creative lifestyle photographer to document a little slice of your parisian adventure.